Here is one of our favs from past images with longhorns family in the bluebonnets. This image we captured with 2 adults and one baby longhorn who was just too cute with its small horns starting to grow. The bluebonnets were good this year and you could find them everywhere even on this cattle ranch in the Texas Hill Country. The Texas Longhorn is a breed of cattle known for its characteristic horns which can grow very long especially in steers and cows. They are descendants of the first cattle in the New World, brought by Christopher Columbus and the Spanish colonists, and have a high drought-stress tolerance. Texas Longhorns are known for their diverse coloring, and can be any color or mix of colors, but dark red and white color mixes are the most dominant. We capture this image with this family of Texas Longhorn and her calf plus friend who stopped to pose for this picture in the bluebonnets. The mother is on the right and when we came the first time she took her calf as far away as possible from us. The second visit I guess did it. We loved all the different version of horns and this calf with his little horns were just too adorable in this field of bluebonnets. Posted in Photo of the Day on March 30, 2017 August 25, 2017 by Bee Creek Photo. We capture this over this wonderful field of bluebonnets at this old farm house out in the Texas Hill country. We had been photographing the sun set when one of the guys spotted lightning and in the distance storm cloud which was now in view and we put the gear back out and hoped for a good capture of the lightning. We got lucky and we were able to capture it over this field of bluebonnets.with the old farm house just as lightning was striking, This was a composite of two images photos. Posted in Photo of the Day on March 29, 2017 August 25, 2017 by Bee Creek Photo. When we were down at Big Bend Ranch state park this spring we got approval to fly our drone in the state park and captured some awesome images of the landscape from above. 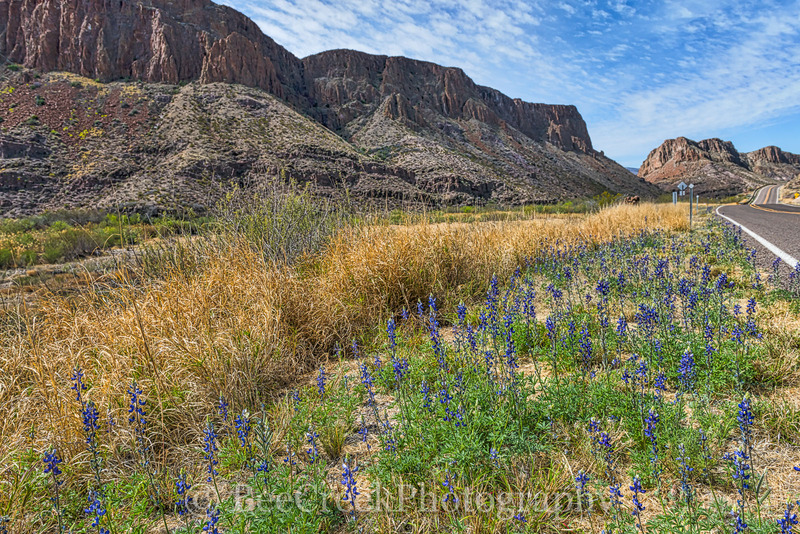 This is one of the images showing the amazing landscape along the edge of the park on the river road, Hwy 170 and the Rio Grand river between Texas and Mexico. 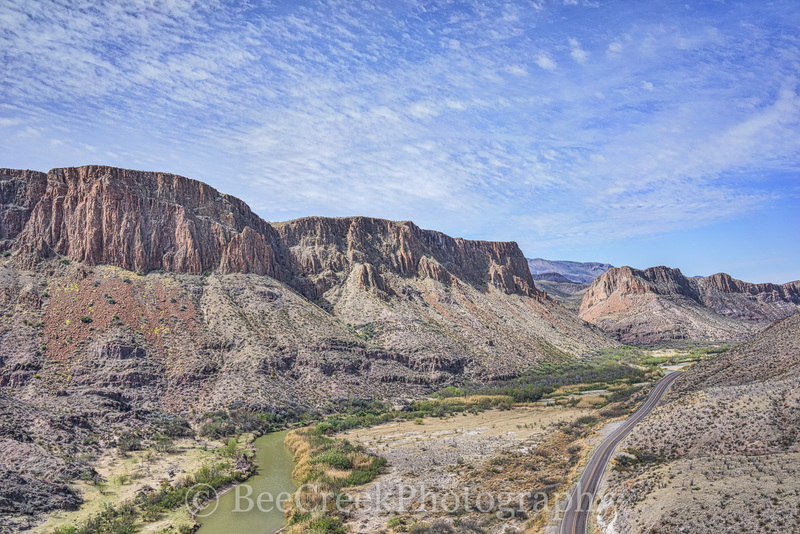 Captured this aerial view of Big Bend State Park with the Rio Grande river along with the river road and the US, and Mexican mountain range in view. Posted in Photo of the Day, Travels on March 28, 2017 by Bee Creek Photo. Hi guys, We have a new web site for our high quality fine art stock images. All the images on this web site are available for print and licensing. Posted in News, Travels on March 23, 2017 July 11, 2018 by Bee Creek Photo.